We love markets and festivals! You’ll find Pastel at Byron Bay Markets and various festivals and events throughout the year. If you want to be sure of where to find us on any particular date please send us a message or check our Instagram. 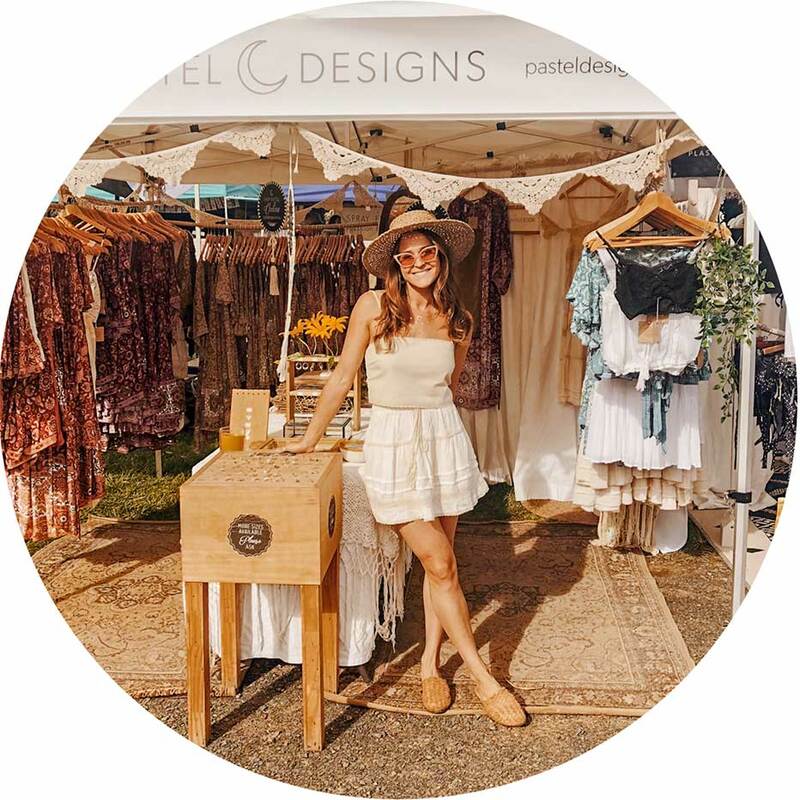 Details for Byron Bay Markets are below…we love meeting our beautiful customers so drop in and say ‘Hi’. We’re so excited to be showcasing our designs again at Byron Bay Bluesfest, Australia’s premier contemporary blues & roots music festival as they celebrate their 30th anniversary! The best thing about taking our designs to festivals and special events is the gorgeous people we meet…hanging out at world class music festivals isn’t bad fun either. It’s such a valuable opportunity to receive the personal feedback from our customers that isn’t possible in an ‘all online’ environment. Splendour in the Grass, Woodford Folk Festival, Falls Festival, Bluesfest Byron Bay and The Finders Keepers Markets in Brisbane and Sydney have been highlights for us. If Pastel would suit an event you’re holding please get in touch. We’d love to hear from you.